When you’re looking to improve the way your teeth look and feel, you deserve care from a practice that pairs appropriate treatment with the latest advances in dentistry. Dr. Jae Byun helps patients understand their oral health situation. He then uses modern techniques and technology to enhance their dental aesthetics and overall wellness. Serving the smiles of our community since 1998, Dental Ambitions offers a diverse range of dental services on New York City’s Upper East Side, Midtown Manhattan, and the surrounding neighborhoods, including Yorkville. Early on, Dr. Byun knew that he wanted to provide meaningful, positive changes in people’s lives by improving the state of their health. He found in dentistry an opportunity to help patients and tap into his passion for artistry and science. Nothing gratifies our dentist and his team more than seeing patients gain a greater self-confidence as a result of having their dental issues resolved. From guiding teeth into better alignment to replenishing a smile affected by natural wear, gum disease, or injury, Dr. Byun wants to help patients get on the right track with their oral health. 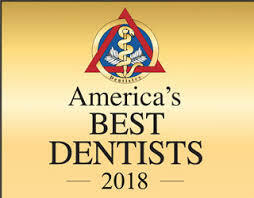 In order to provide comprehensive care, our office is equipped with state-of-the-art dental technology that allows Dr. Byun to make accurate diagnoses and deliver treatment with precision. Our team includes on-site specialists so patients don’t need to go elsewhere to have their full range of concerns addressed. It’s our privilege to have members of our community trust our office with their dental care and our goal to establish a compassionate, caring environment available for every patient who visits. Our staff is always willing to listen whether it’s about personal matters or questions about your treatment. We consider ourselves just as much a part of the neighborhood as the patients we treat and care for everyone we see as members of our family. Given the role your smile plays in your well-being, from your social and professional life to your overall health, it is important to receive care that encompasses both functional needs and appearance goals. Using their experience and the latest treatment options, Dr. Jae Byun and his team work to provide patients with lasting beauty. Call our office today and schedule an appointment to learn more about our services for restorative and cosmetic dentistry on the Upper East Side. Dental Ambitions is located between 3rd and Lexington Ave., conveniently situated near cross-town bus stops and half a block away from the area’s major subway stations, including the routes for the 4, 5, and 6 lines. 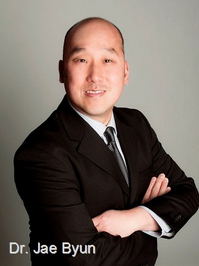 Dr. JAE BYUN is dedicated to excellence in cosmetic and implant dentistry. Located in New York City, New York. New York City dentist JAE BYUN specializes in cosmetic and restorative dentistry such as teeth whitening, clear braces, porcelain veneers.